The beauty of real wood is hard to beat. When the grain in white oak is enhanced by the right stain and sealer, the wood comes alive. 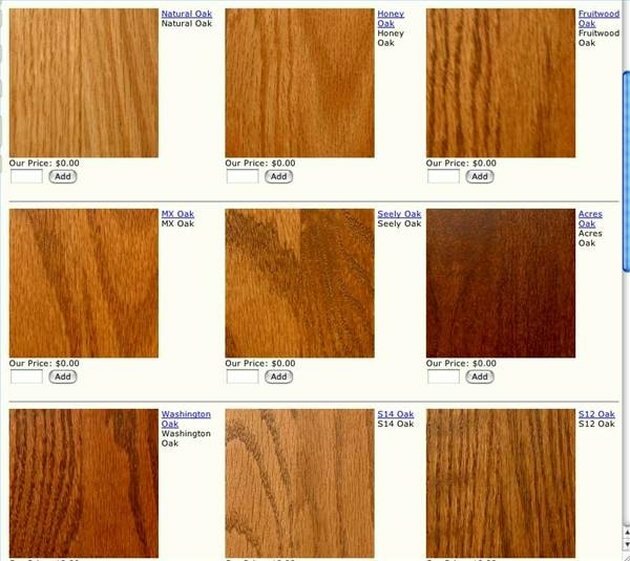 Wood stains are designed to bring out the natural beauty of wood. In order to help natural hardwood to reach its potential beauty, the right stain has to be applied. Learning about stains and what they do will help choose the right one for your project. 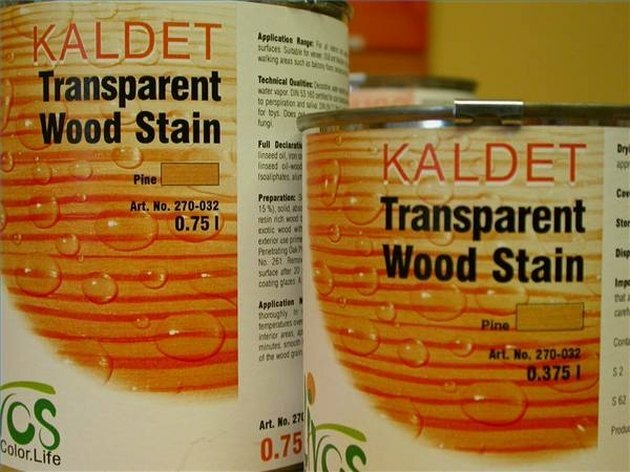 Just as it is with paint, wood stains have many different types. Water-based stains are easy to apply, and since they are water-based, clean up is a snap with warm, soapy water. If the stain is to be used outdoors, a latex stain will give the best results with the longest life span. The wise consumer will research the type of stain needed for her particular wood. For example, cedar and cypress are best stained with latex-based stain because they have a natural ability to resist rotting. 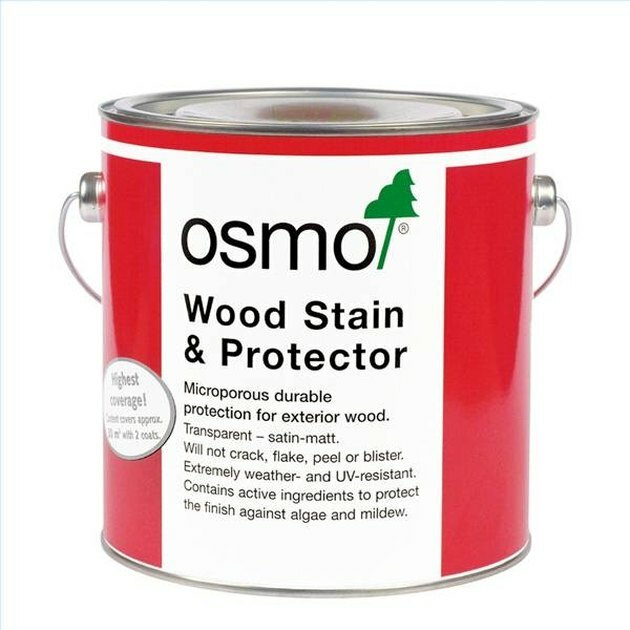 Besides enhancing the grain in woods, stains also double as a protector. They help prevent water damage to decks and retard the aging of wood siding. The custom-made coffee table made from walnut is a conversation piece in itself. Add a nice, medium-tone walnut stain, and the grain starts to dance, releasing all the benefit that the natural hardwood contains. To get the final and best benefit from the stain, seal it with an even coat of polyurethane. When staining that new deck, you want to use something that will be difficult to wear off due to the high traffic decks tend to receive. 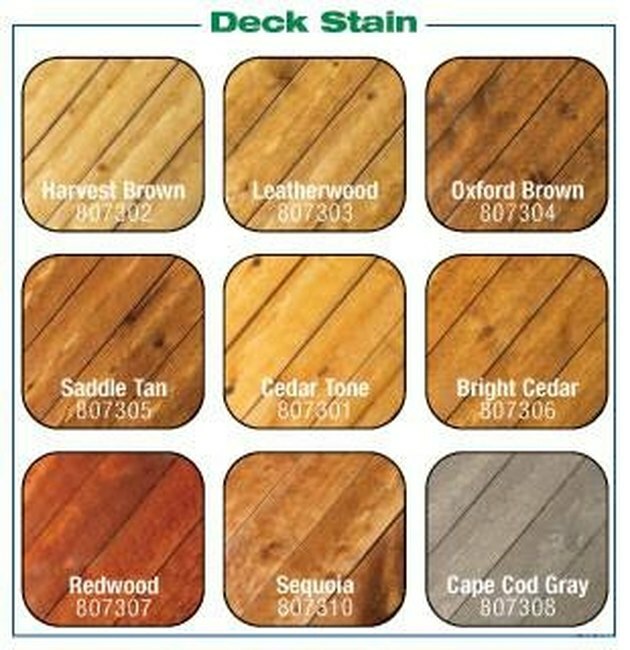 Scuff-resistant stain will also help on a deck. In addition to these features, stain that doesn't have a strong odor will allow you to work with it in a semi-closed area. Water-based stains feature ease of spread with a brush, which is quite different from the stain that needs to be rubbed in. 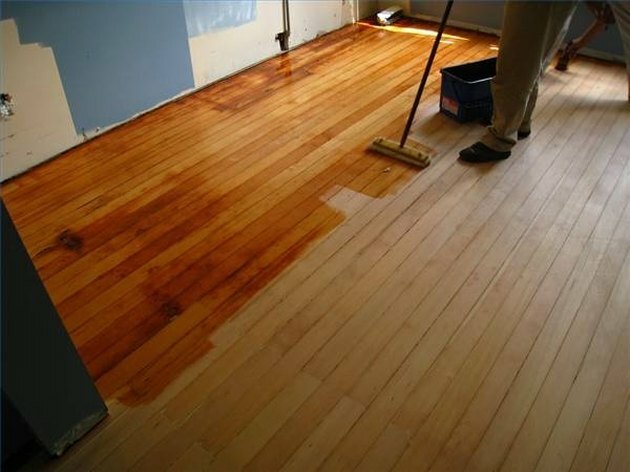 Whether you apply wood stain with a brush or a soft, clean cloth, you will want to know the proper procedure for its application. Always consult the label, but most stains that are applied with a brush also require you to wipe off the excess quickly to keep from creating blotches. When applying stain with a cloth, use circular motions and only for the time it takes to rub it in. You will also need to wipe off any excess the same as you do with the brush method. Before staining, fill all nail holes with wood putty that will take a wood stain. 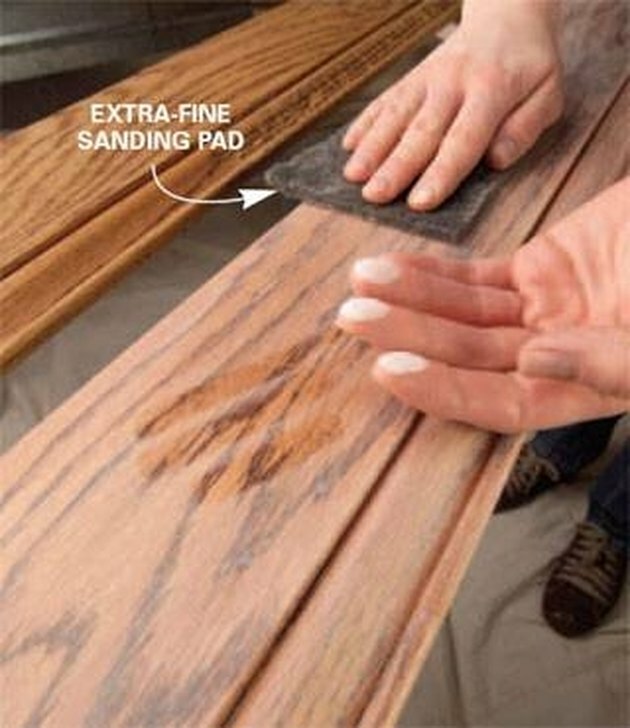 This will prevent the putty from showing up after staining. One of the most difficult things to forecast when applying wood stain is the areas of the wood that have dried glue on it. To remove the glue, use a putty knife and gently lift the glue from the wood. Then sand the area before reapplying the stain.